The Acadia Denali doesn't disappoint, and comes with all the quality and understated opulence buyers have come to expect from the respected GMC marque. A truly versatile SUV, this vehicle will please even the most discerning of buyers. 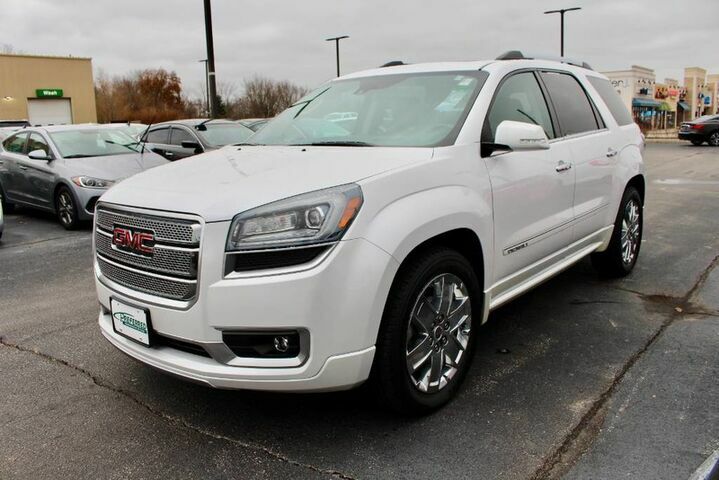 This GMC Acadia Denali is for the discerning driver who demands the utmost of his vehicle. Navigate through all the icky weather with ease in this AWD-equipped GMC Acadia, and even get non-stop traction for your non-stop lifestyle! In addition to the amazing traction control, you may even qualify for an insurance reduction with this AWD vehicle.